126 piece tray jigsaw puzzle offers you to promote your products or services in an attractive way. You have the ability to choose designs and coating for both sides of the 126 piece tray jigsaw puzzle. 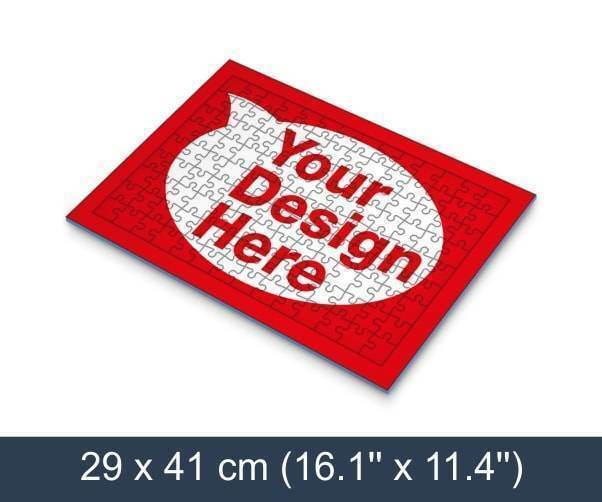 The jigsaw puzzle is close to A3 size which means it is quite large, therefore noticeable! This jigsaw puzzle features small 126 pieces that will be a challenge for anyone to solve! This jigsaw puzzle is mostly used as advertising material. 126 piece tray jigsaw puzzle will come shrink wrapped in pvc foil which means you don’t need a box to present the jigsaw puzzle.